Titanium Backup is the most powerful backup tool on Android. You can backup, restore, freeze (with Pro) your apps + data + Market links. This includes all protected applications and system applications as well as external data to a SD or internal drive. You can do 0-click batch and scheduled backups. The backup will operate without closing any program (with Pro). You can move any app (or app data) to / from the card SD. . You can view data in any application, and even the market feeds to see detailed information on the application. Titanium Backup uses root-rights to “pull” all your apps and their data from the system memory partition and preserve them for future recovery. If you are having problems with your device, or you have installed the new firmware, Titanium Backup will save you from the hassle of returning the unit to its previous state. There is a free version, but if you regularly use Titanium Backup, then it makes sense to buy the PRO version. It’s really a Must Have app if you ever thought about Rooting your Android system. Here is a very useful FAQ information, which will increase your understanding related to Titanium Backup android app. 1. What are system applications? System applications (system app) – is located in the application directory / system / app / and being a part of your firmware. 2. What is a custom application? User applications (user app) – is located or in the Applications section / data to your device’s internal memory or on your SD card. 3. What is the system data? In most cases, the system data is just data that belonged to system applications. For example, SMS / MMS are system data of your application for sending and storing messages. But there is an exception, such as “access point Wi-Fi”, that being the system data does not belong to any specific application. 4. What is root / rooting? “Root” – a UNIX systems administrator. Getting root rights means modifying your firmware to enable you to provide the right root some programs installed on your device. Titanium Backup uses the root-user privileges to create backup copies of data that is accessible only by root user. 5. The security model for Android. According to this model, each Android application has access to its own system data, plus some shared data (such as SMS, MMS, contacts, etc.) if has permissions. Applications can also share your data with other applications, but not required. Although some applications have ways of making backup copies of their own data on the SD card or in the cloud services, and how to share their data, the absolute majority of Android applications such opportunities are not available. That’s why we need root-and right and Titanium Backup. Titanium Backup is not limited to Android security model, and therefore has the ability to create and restore backups of all data on your device. 6. Why just bought the device does not have root access? Because the manufacturer of your device (or operator / dealer) establishing limitations. In its pure form, Android OS is an open source and has no restrictions. Root gives you complete freedom on your device, so operators protect their users by restricting access to certain sections of the device, so that they did not break anything. S-ON device is the device on which the firmware (usually installed in / system) is write-protected data and therefore can not be changed, even if you have root rights. Sometimes it may seem that you do have write access to / system, but in any case, all changes will be lost after a reboot. Therefore, S-ON device, you can only get temporary root rights. To get a permanent root right to S-ON device, you have to make it S-OFF, in other words, you have to unlock the boot loader (bootloader unlock for example HTC devices). 1. What can I backup using Titanium Backup? All installed applications, including protected. All data and settings for these applications. The majority (almost all) of the data and settings of your device. Starting with version 3.8.0, Titanium Backup can make backup copies of all the applications on your system firmware, not just their settings and data. 2. How to restore all of my applications at once, not one by one? In Titanium Backup, press menu (the menu button on your phone / tablet) —> Settings —> Bulk edit, scroll down to “Restore” button, select the mode you want, and then restore the “Start”. Keep in mind that the application will be restored in sequence, but need user interaction. In the PRO version, everything happens automatically, without user intervention. Warning: system applications will not be restored in the “Group actions …” (it’s too dangerous), will be restored only system settings and data. 3. Can I make backup copies of SMS, MMS and system settings? Yes! Most useful for restoring elements of the system are marked in green and have the prefix such as SMS / MMS / APN. Other elements of the system are marked in red. You should keep in mind that if you make a backup and restore all system settings on different firmware, you are responsible for any problem. Before restoring to a different firmware, it is strongly recommended to include “System Restore data” in the Menu —> Settings —> Backup Settings. 4. Where are backups stored? By default, all backups are stored in a folder TitaniumBackup on your internal SD card. Change the location of backups using the Menu —> Settings —> Path to change it. 5. Why is there no button “Restore” for some applications? Most likely, this is because it is a system application that you no longer have. System applications are part of the firmware, so Titanium Backup does not back up their data, but not the application. For this reason, if you make a backup of the system application, and then saw the new firmware of the system where the application is no longer, Titanium Backup can not restore the data to the application that does not exist (you only have a backup of the data in this application, but not the application itself). So, before you restore the data, then you need to install the system application for which you are going to restore the data, either by installing the new firmware, or manually copying the apk this app in / system / app. If you disable the “usual software (apk)” and / or “Secure software (apk)” in Options —> Settings backup, they will only create data backups of all your apps, and in that case you need to reinstall all applications before restoring the data. 6. Why does the application still appears in the list of Titanium Backup, when it should not be there? – The application data stored in the memory. If the application itself is not established, it lost data. You can delete the data through accessing the Menu —> Group activities —> Data Manipulation —> Remove the lost data. 7. I would like to keep a list of applications for further use. For example, keep a list of “frozen” for future applications “frozen” if I have to perform a factory data reset (Factory Reset). How to do it? – Filter the application by “freezing”. Menu —> — Filters> Filter by temperature —> Freeze —> Apply (green check mark in the upper right corner). – Now you need to create a label for the “frozen” apps. Press the Menu —> — Filters> Create a label —> Add / Remove Software —> Select filtered and regulated. —> Accept (green check mark in the upper right corner). 8. Could I make a backup of all my installed applications, and then (after installing new software or data loss) to restore only them and nothing more? Yes, you will need to filter out only the installed applications and provide them with a label. 9. What is the difference between Titanium Backup and ClockworkMod recovery / Nandroid? ClockworkMod creates a Nandroid backup, which is a “snapshot” is the whole system (including firmware itself). This is very handy if you broke something on your starter is and you have to “go back in time” ago. In contrast to the CWM, Titanium Backup creates backup copies of each application (+ its data) and system settings individually. This allows you to restore applications and system settings on the new firmware. Or, if you copied the folder backup Titanium Backup, you can restore the whole thing on the new device. Do not forget about the “group actions” to accelerate the process, and do not deal with each application separately. 10. Could I restore the application to a different firmware or even on a different device? 11. I want to restore some system data (eg MMS / SMS) on another device / firmware. How do I deal with it? 12. I have an Android device based on x86, with root privileges. Can I use Titanium Backup? 13. How to store backups on an external SD card? You can change the path to the backup folder in the menu —> Options —> Path. After the change of the path to the folder with the backup, the current backup on the inside of the map does not move to a new folder, just after the new backup. Copy in hand, through the File Explorer. 14. At that affect filters (Menu —> Filters)? 15. Releases to “freeze” the application space on the internal memory? No, it is not free. “Frozen” is the application on the device, along with its data, just it is totally disabled and inactive until you “unfreeze”. 16. What happens with my “frozen” applications after factory data reset? 17. What are the requirements to be able to move applications to the SD card (Apps2SD) and back to the internal memory? Android version 2.2 and higher. 18. What are the requirements for data transfer applications to the SD card (Data2SD)? Apps2SD scheme creates symbolic links (one per application) in / data / data / com.xy that will be part ext2/3/4 on external SD card. So for Data2SD, you should make sure that your profile ext2/3/4 mounted in one of these places. Then create a folder “app” in one of these places if it does not exist there. Then you can select the application in Titanium Backup and long press to bring up a menu option that will transfer data to the SD card. 19. Will my backups made ​​with older versions of Titanium Backup with new versions of the program? Yes, always. Backups are made in 100% of the standard UNIX file formats, and can also be unpacked on Linux computers. 20. If I remove the app Titanium Backup, will my backup data files be gone? No, because the backups are stored on the SD card, and not with the data Titanium Backup. 21. Can I make a backup of the settings, tags and schedules Titanium Backup? Yes, you can. Be sure that you switched on that option from the settings. on. Titanium Backup will create and maintain a copy of your settings to the SD card. In the case of paying the application Titanium Backup and install it again, the settings will be restored automatically. 22. What makes the cleaning of Cache? There is a deep analysis of Cache, followed by the ability to delete unwanted entries. This frees up valuable space on the internal memory of the device. Complete removal of Cache is not advised and it is not necessary, as the system will make next start your device after rebooting slower. 23. What happens when I make a backup or restore an application that has multiple profiles with different data? 24. I restored the application of data to multiple profiles, but I do not see these profiles in the list. What to do? Click the “edit profile” —> “find existing profiles.” All the data of your application will be checked and updated list of profiles. 25. Can I do so that certain applications do not update from google play? 26. On my Android device with root access is not installed Google Play. Can I use Titanium Backup? – Disable “Delete bind to Market” (Menu —> Options —> Settings uninstaller —> Delete bind to the market “). 27. How to keep the old version of Google Play? With the support Titanium Backup, you can “freeze” the application Market Updater. This will prevent the automatic update of Google Play. 28. What does the option Group action —> “integrate updates of system applications in ROM”? System applications are part of your firmware, but some of them (like gmail), can be updated from Google Play (if the version on Google Play is newer than the version of your firmware). Updates, as such, are not set in your firmware, they are installed in the memory of your device. The original version of the System application in this case is masked by the new version. 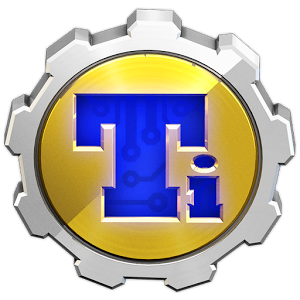 Titanium Backup can install the new version of the application directly into your firmware (overwriting the old version), thus freeing up space for the internal memory. 29. Does removal of system applications frees memory? Yes, because the element cache for this application and application data will be deleted from the internal memory. 30. I removed the system application by mistake, what to do? If you have Titanium Backup version 3.8.0 or newer, you should see a smiley face in front of the remote application, then you can restore the application and its data. Older versions of Titanium Backup does not make backup copies of system applications, but their data. 31. What is Dropbox / Box.net / Google Drive? This is a cloud service with which you can synchronize your backups from Titanium Backup. You can sync all the backups, and separate. 32. How to recover data from a Dropbox / Box.net / Google Drive? 33. I have a PRO version of Titanium Backup, but the main view of cloud services are disabled, why? Go to menu —> settings —> Dropbox / Box.net / Google Drive, and turn on the desired service. 34. Why Titanium Backup requests access to the Internet, it scares me, that too as an application with root privileges. Does Titanium Backup collects user data? No, Titanium Backup does not collect any user data under in any circumstances.Internet access is only used to download Buxybox (when you click on “Problems?”) To connect to Dropbox / Box.net / Google Drive (if you use these services) to get a list of changes when you upgrade Titanium Backup, and to send requests to Google Play. 35. Why Titanium Backup requires the inclusion of USB Debugging / Debug USB? I’m developing on my device and I do not need it! The only reason it needed is, it is because, for earlier versions of Superuser (app provides root rights), this option should be enabled because of the proper operation of the Superuser depends on the work Titanium Backup. In most current firmware, you can not include this option, and also turn off the warning about it in Titanium Backup (Menu —> Options —> Settings GUI —> — note> warn if no debugging USB) . 36. Why Titanium Backup is run at startup? application is launched at system startup to check the list of planned launches in the Schedule. Once this is done, the program will be terminated and will be unloaded from memory as soon as the system needs more resources. The CPU resources will be disabled until the next scheduled run. If you do not intend to carry out the job on schedule at all, and want to prevent run the application at startup, you can safely use an application that allows to disable the autostart applications. 37. Why the application is updated so often? What can you do about it? Unfortunately, what’s not to like the user may be a critical need for the application. No one is forcing you to install each update. You can just open Google Play once a week and update the application only. Titanium Backup app Download link. Sourabh Thawait is Author at Durofy.com. To advertise on Durofy, just email us at durofy@live.com. For business enquiries, career openings, or advertising, contact us at durofy@live.com.